When a diamond mining company closed its operations in Mofuwe Village, in the south of Sierra Leone, it left behind three mined-out pits the size of several football pitches, a collapsed bridge, a blocked stream and an uncompleted community school building. It was as if the villagers woke up one morning and the company was gone. When floodwaters – attributed to the blocked river –destroyed their crops, community members and leaders decided that they had finally had enough and sought help from a paralegal office two miles down the road. It was the only justice mechanism within reach. Two years later, with help from lawyers within and outside the country, the paralegals finally managed to get the company back to the community to redress the damage. Pits were filled, the bridge repaired, the stream unblocked and the building completed. Just like the villagers of Mofuwe, the majority of the world’s population is not satisfactorily protected by law or the institutions established to govern them. [i] In many African countries, the poor, who mostly live in rural areas, are in a particularly helpless position – their rights are routinely violated, they are unable to access formal institutions and are incapable of speaking out. Nowhere is this more keenly felt than in the extractive sector where poor rural communities are too often left to pick up the pieces of their broken lives after devastating mining activities. The picture is similar across resource-rich African countries. Profit-hungry corporations and ineffectual, and sometimes complicit, regulators leave a trail of destruction, disempowerment and helplessness in the wake of natural resource exploitation. In Sierra Leone, a country that has endured a decade of civil conflict and, more recently, an Ebola epidemic, the vast majority of the population does not have access to the formal justice system. [ii] They have to devise their own solutions to the myriad socio-economic challenges they encounter daily[iii], or rely on informal or traditional institutions that often leave them vulnerable to exploitation and discrimination. The daily struggle to make ends meet – to access food, water, sanitation, transportation and healthcare on less than a dollar a day – makes access to justice an unattainable luxury for the rural poor. Attempts to make the law work for everyone, particularly the poor, have focused almost entirely on building the capacity of the “supply side” of justice – mainly courts and government institutions – with little or no attention paid to the capacity of those who require justice services to efficiently utilise these institutions or find helpful alternatives. Legal empowerment seeks to rectify this imbalance. It is a process through which the poor are enabled to use the law to advance their rights and interests. It recognises that everyone should have access to justice and that all the legal rights that are owed to an individual are respected without regard to that person’s status. It gives voice to individuals and communities at the grassroots level to participate in decision-making processes. [iv] One principally effective and inexpensive way to achieve that has been through the use of community-based paralegals. 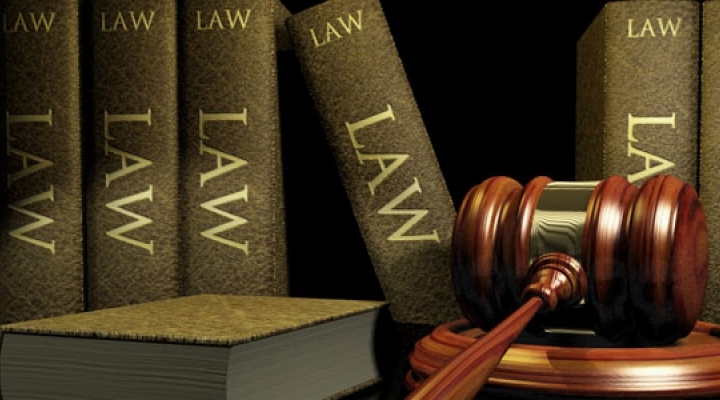 Different stripes of paralegal programmes exist across Africa. Many paralegals work as “generalists”, responding to the many needs of the communities in which they are located. Others specialise, focusing on particular issues or methods. In the context of natural resource exploitation, too, paralegals working with communities have managed to secure important remedies or enhanced the voice of otherwise vulnerable communities in matters that affect their lives and livelihoods. Namati, a legal empowerment organisation with offices in Sierra Leone, helps communities that are interfacing with large-scale land investors to obtain fairer, more responsible land deals as well as enforce compliance with regulations. In 2015, Namati’s paralegals worked with ten communities in the north of the country to secure a more equitable lease agreement between the communities and a logging company. They successfully negotiated provisions for the protection of traditional or sacred grounds, profit sharing with communities, and protection from environmental harm. Namati’s paralegals have also worked with communities adversely affected by the operations of mining companies. Manonkoh, a small farming village in northern Sierra Leone, suffered repeated flooding of cultivated swampland as a result of the operations of the now-defunct ore miner, London Mining Company. [viii] The company and mining regulators ignored complaints from the community for over two years, until the paralegals stepped in. Working together, paralegals and community members wrested important remedial action from the miner, even though it refused to accept liability. Floodwater was drained, drainages were expanded, and rice for food, seeds and other farming inputs were provided to the 35 households in the village. The company’s successor arranged to pay compensation to the affected farmers before it, too, went belly up. In late 2015, paralegals began working with several communities affected by the operations of a diamond miner in Tongo, Eastern Sierra Leone. The company often blasts hard rock to get at the precious stones. Residents are asked to leave their houses and move to a safe distance, usually a football field. The blasting results in severe damage to their properties, which they claim is never properly repaired. Given the repeated nature of the exercise and the distress it causes, many had asked to be relocated, but neither the company nor the relevant government agencies responded. Interestingly, residents who have spoken to the paralegals don’t think that the company will ever relocate or alter the way it mines because, they believe, it enjoys strong support from the government. This speaks directly to one of the reasons why the extractive sector throws up some of the toughest justice challenges for community-based paralegal programmes in Africa. The economic might of corporations and their close association with political power creates a major disincentive in the minds of ordinary folks to pursue remedies against them. In fact, some investment-hungry governments have labelled bottom-up campaigns for corporate accountability as “anti-development” and NGOs involved in such actions have reported intimidation. Governments put more effort into “improving the business environment” in order to attract foreign investment than they do into creating or strengthening structures of accountability. Also, justice issues within the extractive sector tend to be complex and long term. Paralegals may work for years on a case, such as the flooding in Manonkoh. Cases dealing with the environmental and health impacts of company operations may require basic scientific knowledge and terminology in addition to relevant laws. They may also require specialised equipment, such as water testing kits, that paralegal organisations or communities cannot readily access. In this respect, links with lawyers and other professionals become crucial for effective resolution. In addition to these technical challenges are the practical ones that are inherent where there are severe power and resource imbalances between disputing parties. In the Mofuwe Village case, for instance, company employees sought to influence the paralegals to drop the matter. When that failed, they offered mobile phones and cash to community leaders, some of whom accepted the bribe. A combination of deep rural poverty, wealthy and unscrupulous firms, and complicit government officials makes local leadership – and rural populations generally – susceptible to negative corporate influence. They can be manipulated to act against their best interests. However, the biggest threat to generalist or specialist paralegal programming has been funding and, to a lesser extent, formal recognition. Most paralegal programmes begin and are sustained, at least for a while, by external donors. [ix] Donor support is by nature short-term. Paralegal interventions in Sierra Leone and elsewhere in Africa have folded up or severely constricted as soon as donor priorities changed. Many governments have not taken up the responsibility for funding paralegal services or incorporating them into the formal legal system. In a few countries like Sierra Leone, where paralegals have been incorporated into the national legal aid framework, the level of government funding for legal aid services has not been very significant. In fact, competing needs within a mixed legal-aid system makes it difficult for the paralegal component to be properly funded. Most legal aid boards prioritise funding for criminal legal aid or legal representation in courts, which are comparatively more expensive. Formal recognition of paralegals, either by statute or policy, opens up the possibility of public funding but, most importantly, it creates the space for paralegals to effectively engage with public institutions in their daily work. However, care must be taken to avoid co-option or the loss of independence. A paralegal’s work often involves holding government or powerful interests accountable and this critical edge could be sacrificed in pursuit of recognition. It is imperative that paralegal programmes remain independent when they are funded publicly or afforded legal recognition by the state. Over the years, there has been a growing awareness of the importance of access to justice in the fight against deprivation, insecurity, exclusion and the voicelessness of the poor. [x] Paralegals have helped to demystify the law and legal institutions by educating people and guiding them through remedial processes when rights are infringed. It seems unlikely that communities would have received any measure of justice in the instances described above without the intervention of paralegals. Without a doubt, community-based paralegal programmes help to make resource-exploiting corporations accountable and their operations more responsible. Most importantly, however, they prove that the law and government can be made to serve ordinary citizens. [i] Making the Law Work for Everyone, Report of the Commission on Legal Empowerment of the Poor, Vol. 1, 2008, pg. 19. [ii] Government of Sierra Leone Justice Sector Reform Strategy and Investment Plan, 2008-2010, pg vi. [iv] United Nations General Assembly, Legal empowerment of the poor and eradication of poverty, Report of the Secretary-General, 13 July 2009, pg. 3. [v] Community-based paralegals: A Practitioners Guide, Open Society Foundations, 2010. [vi] Vivek Maru, Between Law and Society: Paralegals and the Provision of Primary Justice Services in Sierra Leone and Elsewhere, Open Society Justice Initiative, 2006, 2010. [ix] Community-based Paralegals: A Practitioners Guide Open Society Foundations, 2010.